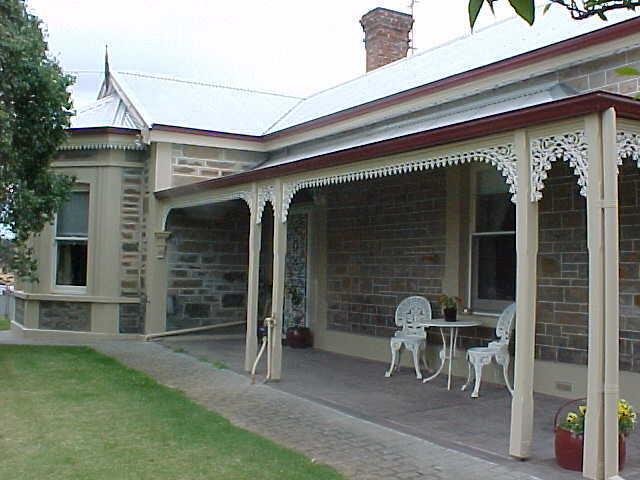 Guests are accommodated in a self contained suite at the front of our spacious Victorian bluestone homestead, circa 1870, with private entrances and verandah, great for outdoor breakfasts, a fully equipped kitchen, country colonial furnishings, private bathroom, guest sunroom with pool table and TV, ducted reverse cycle air conditioning, open fire, piano, everything supplied and special extras. Enjoy being within 10 minutes drive of all the attractions of the Barossa, yet surrounded by peace amid immense rural beauty. Stay a while as the Barossa is central, being within one hour's drive of Adelaide and the beaches, two old copper mining towns of Kapunda and Burra, the wine growing regions of the Clare Valley, the River Murray and the delightful Adelaide Hills. 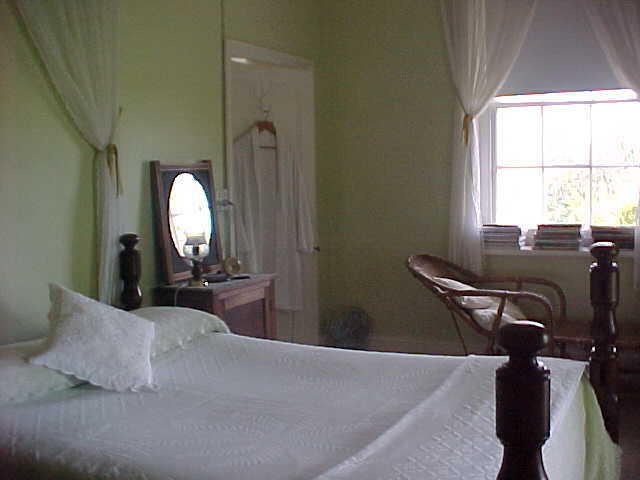 One self contained double suite and one twin room, traditional homestay, each with private bathroom. Payment method: Cash, Cheque, Visa, MasterCard or Bankcard.